The power of yoga extends beyond giving your mind and body a safe space to relax. Especially helpful for those who suffer from diabetes, specific yoga postures can encourage blood flow to the pancreas to improve insulin sensitivity and keep your blood sugar levels in check. 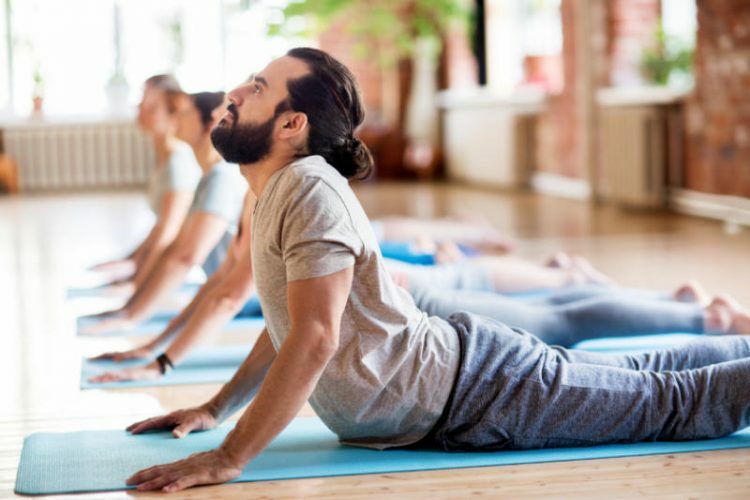 As you improve your physical and mental strength with yoga, the different postures and techniques can help to rejuvenate the cells and stimulate hormonal secretions, allowing for an effective use of the insulin produced. The trick to using yoga to your advantage is to practice the gentle asanas that get your blood flow going. Your focus should be on aligning your breath with your postures to induce relaxation in the nervous system. Follow these beginner asanas to maintain your healthy lifestyle and find relief from your symptoms. Performing the bow pose is excellent for the pancreas and intestines as it works to control your blood sugar levels. Start by lying on your stomach with your arms beside you and your feet about hip-width distance apart. Bend your knees to lift your legs up and extend your arms back to grab onto your ankles. As you inhale, lift your chest off the floor and deepen the stretch of your legs. Focus on your breath as you hold this pose. Make sure to relax and only stretch as far as you can. Hold this pose for about 15 seconds and gently release to the starting position. Plough pose massages the internal organs and improves the functioning of the kidneys and liver. Start by lying on your back with your arms beside you, palms facing down. Inhale and engage your core muscles as you lift your feet off your mat and bend your knees, so your legs are at a 90-degree angle. Raise your hips and lower back off the ground and use your hands to support your back. Extend your legs to straighten them and bring them overhead until your toes touch the floor. You can also stretch as far as you can go. Hold this pose for as long as you comfortably can and focus on your breath. An excellent posture for the kidneys, cobra pose improves overall health and is especially beneficial for individuals with diabetes. Start on your stomach and extend your legs out straight to bring your feet together, toes pointing outward. Gently rest your forehead on the ground. Place your palms under your shoulders and as you breathe in, lift your upper body using your arms for support. Perform a backbend by arching your back as far as you can and shift your gaze to the ceiling. Hold this pose for a few minutes and exhale to release back to the starting position. Supported shoulder-stand pose helps to reduce stress in the mind and body and stimulates the thyroid gland. Place a folded blanket or a pillow under your shoulders as you lie flat on your back. Place your arms beside you and align your shoulders with the edge of the blanket or pillow. Raise and extend your legs upward and lower them to bring them toward your head. Place your hands on your lower back to provide support. Your shoulders, spine and hips should be aligned. Hold this pose for about 30 to 120 seconds and gently release by rolling your body back down to the floor, legs coming in last. The content above is for informational purposes only, is general in nature and is not intended to diagnose, treat, cure or prevent any disease, and does not constitute professional advice. The information contained in this article should not be considered as complete and does not cover all diseases, ailments, physical conditions, or their treatment. You should consult with your physician before beginning any exercise, weight loss, or health care program and/or any of the beauty treatments.